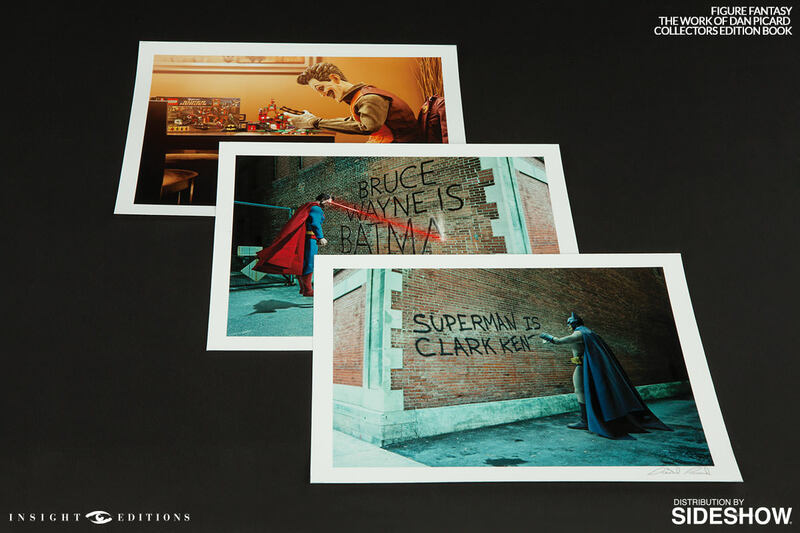 Join celebrated photographer Daniel Picard as he explores what his favorite pop culture heroes and villains are up to when they’re not caught in a battle between good and evil. 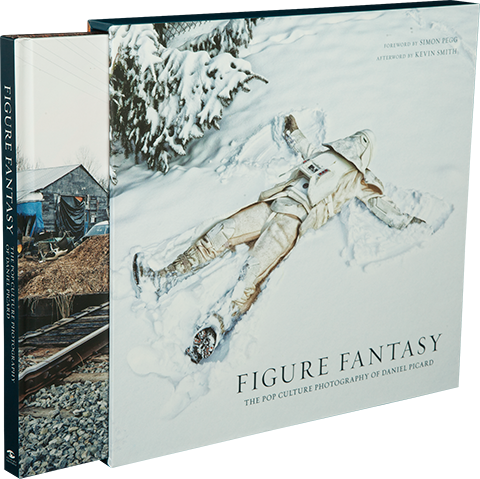 Using fan-favorite sixth scale figures from Sideshow Collectibles, Picard gives a variety of comic book and movie icons a fresh twist, presenting them in life-size environments to create believable scenes and tongue-in-cheek parodies. 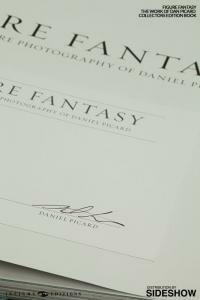 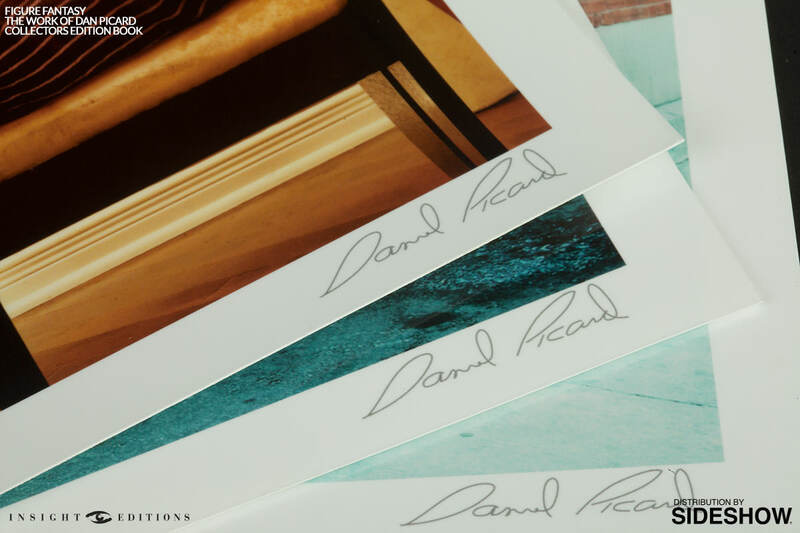 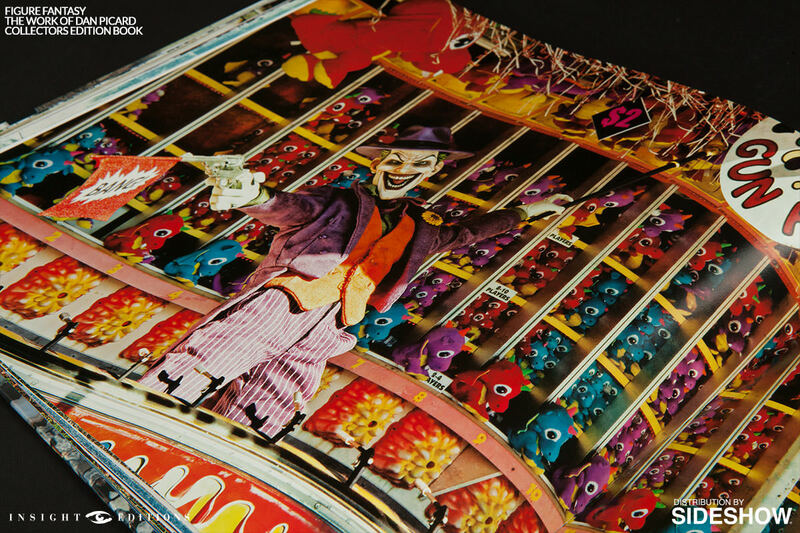 Available exclusively from Sideshow.com, this deluxe hardcover limited collectors edition is showcased in an attractive slipcase, and includes a card of authenticity signed by the photographer, as well as three digitally signed and embossed fine art photo prints. 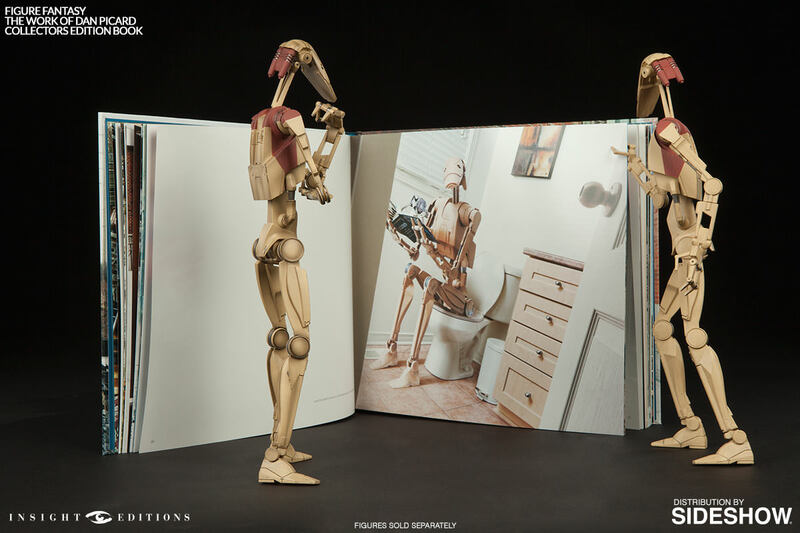 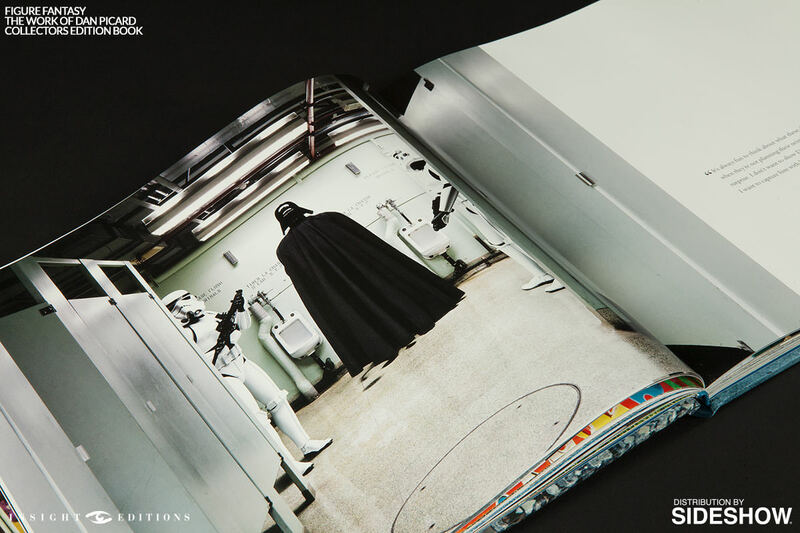 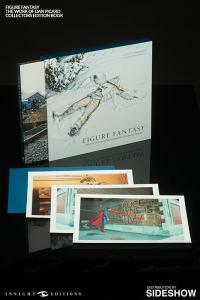 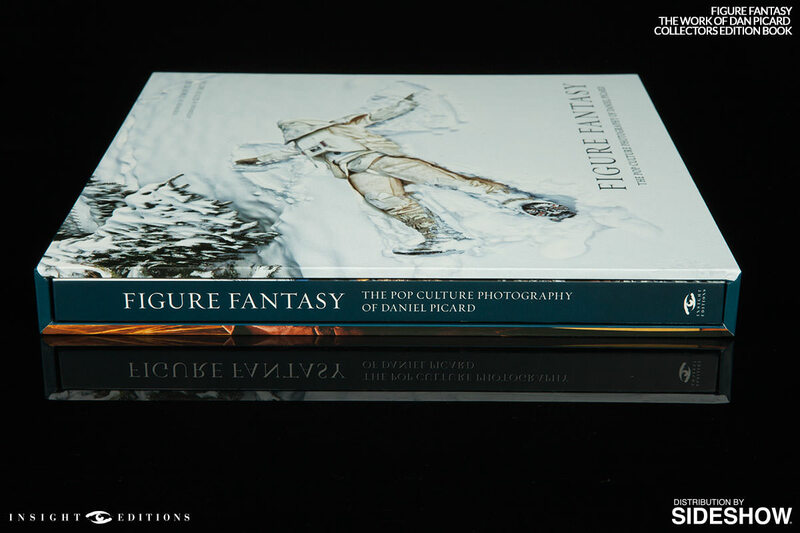 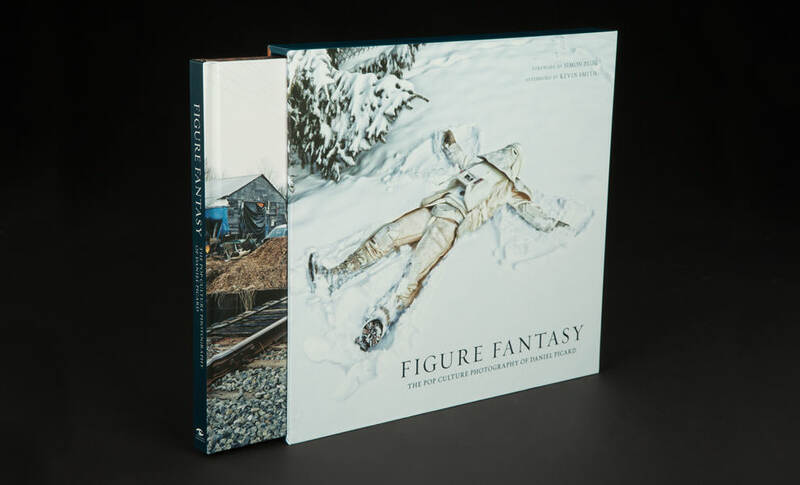 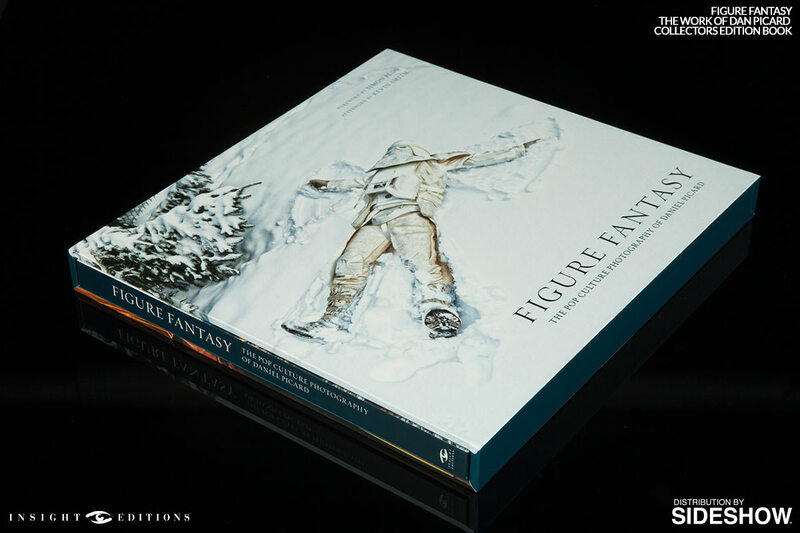 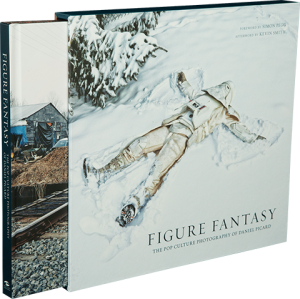 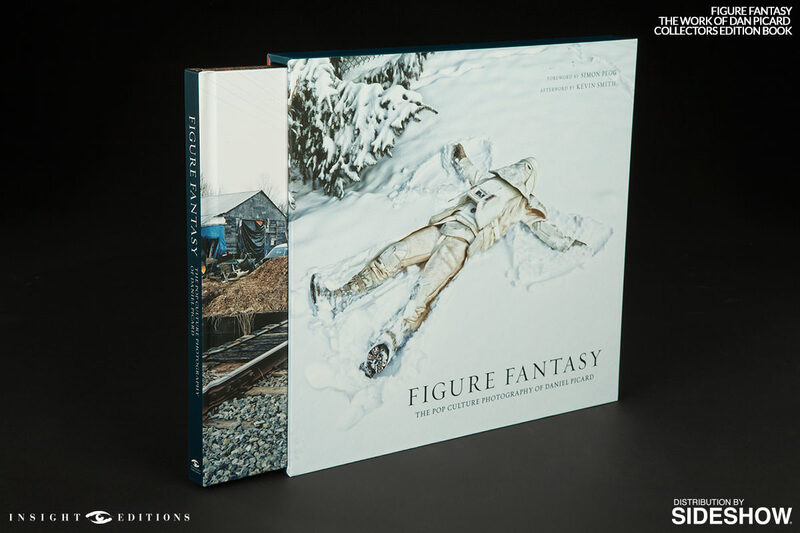 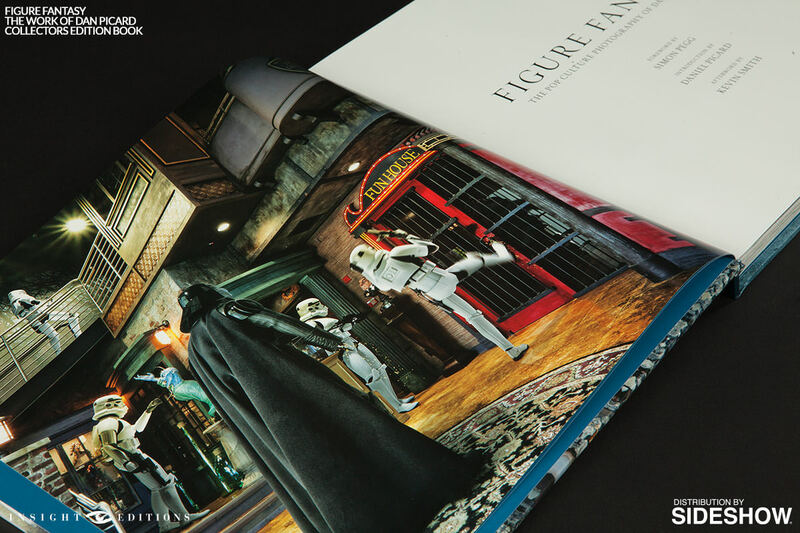 Accompanied by a foreword by Simon Pegg, an afterword by Kevin Smith, and an introduction by Daniel Picard detailing his unique take on pop culture parody, Figure Fantasy is a true treasure for fans, collectors and photographers alike.